L3 SafeView | US Testing Equipment, Ltd. Creates a 3-D black & white image to reveal threats. The system’s imaging tools enable trained analysts to locate a broad range of threats and contraband. The SafeView is designed to reveal smaller and more difficult objects. Depending on the object size, location, and composition, the analyst is able to locate many types of concealed weapons, explosives, and contraband made of liquids, gels, plastics, powders, metals and ceramics. Privacy options include remote monitoring which allows analysts to be stationed in separate rooms where they cannot see the person being screened. Algorithm driven auto-assist and auto-detect options are available. 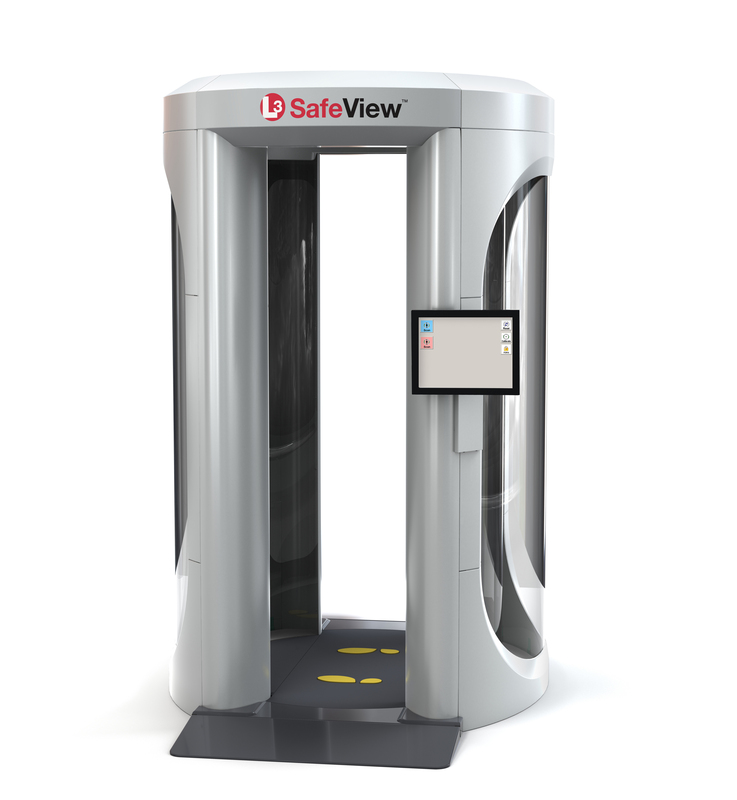 The SafeView can also be configured for automatic detection (private) screening. 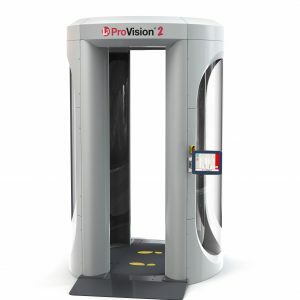 Personnel screening is convenient, straightforward and efficient, requiring only a single stationary pose during a 1.5-second scan. This system is compact enough to fit into space-constrained checkpoint areas and can be upgraded in the field to take advantage of new features or threat algorithms.